In the mood for a hearty home-style breakfast or lunch? Look no further than Gallery Cafe at The Lodge at Pebble Beach. Early-to-rise golfers will appreciate a wide selection of breakfast choices ranging from protein filled smoothies to Huevos Rancheros, to Chorizo Biscuits and Gravy as well as the best cup of coffee around. For a casual lunch, try Gallery Cafe’s excellent make your own burgers and ample specialty sandwiches paired with one of our outstanding desserts (we recommend the House-made Cinnamon Sticky Roll) or something from our full bar. We invite our guests to come by for a quick meal or leisure around at our Cafe. This casual restaurant is located above the putting green and overlooks the 1st tee of Pebble Beach Golf Links with views of Stillwater Cove. While dining at our restaurants, please present your gate receipt to your server. With a purchase of $35, your gate fee will be reimbursed. "Delicious food, large portion sizes, inventive dishes, beautiful view from the patio seating, perfect lunch spot." From hot-off-the-griddle items and specialty dishes to “Speedy Choices for the Golfer,” Gallery Cafe offers a wonderful array of freshly made options. Come for the fantastic breakfast and lunch menu, stay for the spectacular views and friendly service. Gallery Cafe is your perfect choice for daytime dining. Every day we serve up tasty soups, salads, sandwiches, Gallery specialties and a whole lot more. We’re renowned for our hot and cold beverages, including the Gallery Cafe’s First Shot Bloody Mary and other seasonal cocktails. 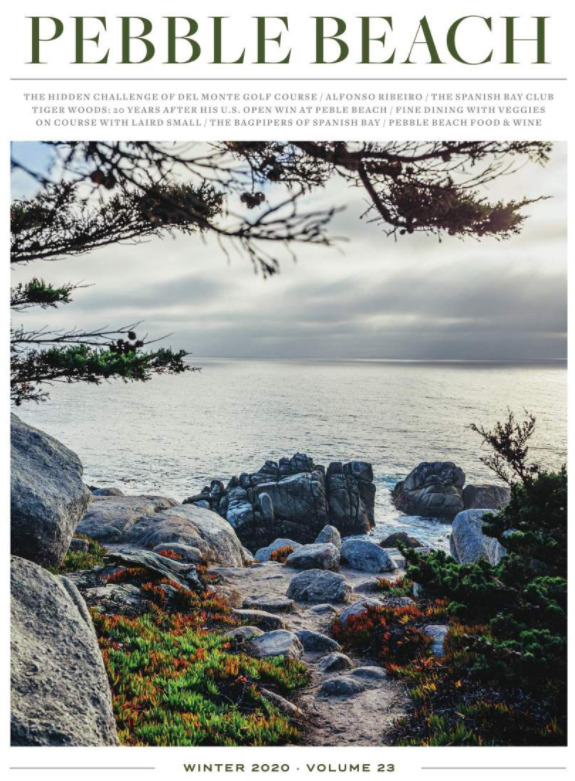 Bask in the brilliant views of Stillwater Cove and the 1st tee of the iconic Pebble Beach Golf Links. The prompt, professional and helpful staff at Gallery Cafe will happily take care of you. "My boyfriend and I had a fantastic Sunday lunch at the Gallery Cafe…incredibly flavorful. Service was outstanding and the views are magnificent. Everything was exceptional!" "I had Eggs Benedict this morning and it was amazing! Cooked perfectly! Great service! Love this place. I'll be coming a lot more since I just moved to Pebble Beach!" "Our experience here was just lovely. I ordered the Rotisserie Chicken with Rosemary Garlic Fries and Coleslaw and my husband ordered the Fish Tacos. Everything was delicious. I LOVED the Rosemary Garlic Fries!"